Legislators in Hong Kong need not put into law their impeding plans of withdrawing the visa-free access of Filipinos in their territory. It is because I no longer intend to go there anymore. 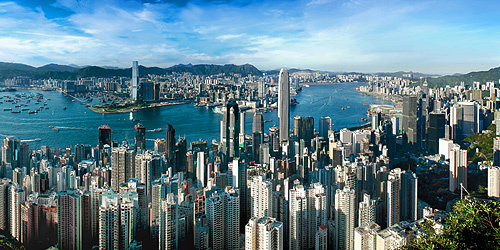 Yeah, I have been to Hong Kong a couple of times but there seem to be no reason anymore to visit again. With all the news of HK government being so “asar” (pissed off) with the Manila City government, the Manila police and the Philippine government as a whole due to the unfortunate Luneta shooting incident that killed a number of HK citizens, no Filipino in his right set of mind would want to tour HK. People would have to slip me in a straight jacket, place me in a box and send me through door to door courier if you would want me to go there. Last year, I actually declined an offer to go there for free, as in an all expenses-paid travel. From airline ticket, to land transfers, to food, to hotel accommodation. I chose to stay in lively Manila, be busy with my job and do something more productive instead. People reading this may suppose that I am insensitive to the more than 160,000 Filipino workers in HK. I guess, they need not worry because if their respective employers truly need them because of their efficiency, diligence, politeness and reliability at work (the typical Overseas Filipino Workers’ traits), these HK employers themselves would of course process and shoulder the expense in the application for Filipino workers’ visa. Besides, initial news points out that the visa-free access withdrawal plans would only be applied to Filipino visitors, meaning tourists (like me), not overseas Filipino workers. Because if they would include our laudable overseas workers, their houses would turn filthy, their kids would have difficulty learning English and Disney in HK won’t be as lively and fun as it is. I just hope that lawmakers in the Philippines would not reciprocate by requiring Hong Kong citizens to secure their respective visas prior to enter the Philippines. That would be such an undiplomatic and childish move. HK legislators can sulk in hatred and abhorrence all they want but we should let HK citizens enter and be made to realize that Philippines is actually a safe haven for them. They need to understand that the people of the Philippines have not done wrong to the people of Hong Kong. What they need is a paradigm shift and that the Luneta incident is a mishap that even Filipinos themselves would not want to happen. Finally, I’d rather process a visa application going to other more interesting state or country than spend the same precious time, effort and money applying for a visa going to irate and fuming Hong Kong.